As I was pondering in Is it possible to live plastic free? I am up for the challenge of trying to reduce the amount of single use plastics we use as a family. 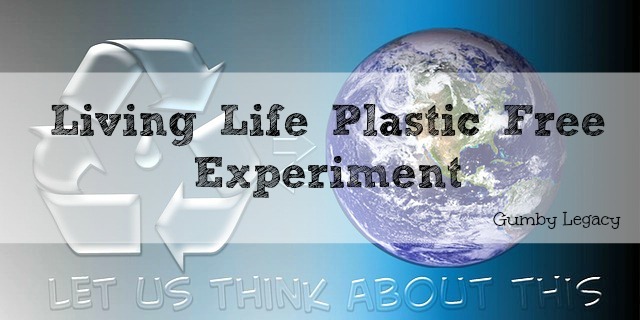 I’ll be starting my Living Life Plastic Free experiment from today. I say experiment because I know it’s going to be tough and there is no way of doing it perfectly. Ever. But that’s the beauty of experiments, you try, try to try again, learning all the time and never actually failing! After reading, I have now learnt that even the things I thought were safe, are not! Be a bit more thoughtful and prepared with regards meal planning and cooking. Bake. Take squash and water out so we don’t have to buy those awful fruit shoot drinks for the kids! We are going away next week so am going to find that really hard but I shall try to ensure that we use as little plastic as possible. How about you? What’s your plan?